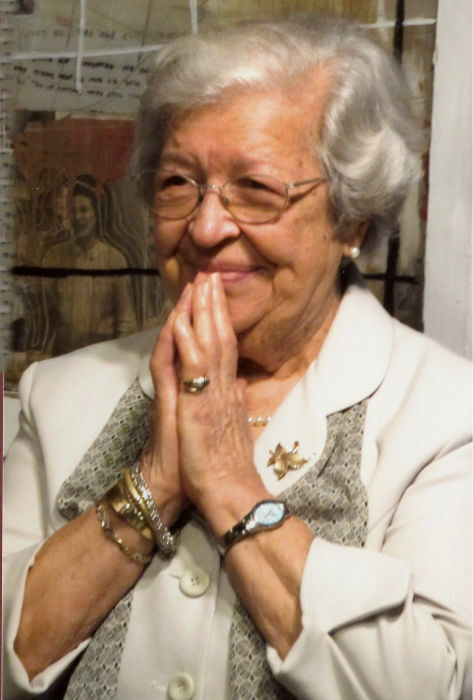 Mary Diffenderfer, age 95, who currently resided in Ann Arbor, Michigan with her daughter and family, passed away on February 1, 2019. She previously lived in Frackville, Pennsylvania. Mary was born in Frackville, September 23, 1923. She was the daughter of the late Stephen Malinchok and Paraska Lahutsky Malinchok. She was a 1941 graduate of the former Frackville High School and a 1942 graduate of McCann School of Business, and also attended Syracuse and Penn State Universities, taking additional classes in business. Mary served as the executive secretary for the Chamber of Commerce for ten years and for the Greater Pottsville Industrial Corporation (GPIDC), which later became SEDCO. She was the executive secretary of SEDCO and SCIDA for thirty-five years. She was a life-long member of the Holy Ascension Orthodox Church in Frackville, where she was elected as the first female president of the Board of Trustees. She also served as secretary and treasurer of the Board. Mary was also an active member of St. Barbara’s auxiliary. Mary was a very active member in her county, serving as President of the Schuylkill County Easter Seals, President of the Schuylkill County Women in Crisis, President (and Secretary) of Community Relations of the Good Samaritan Regional Medical Center Auxiliary, President of Schuylkill County Tourist Promotion Agency, Secretary of SCIDA, Member of RSVP, Member of FOCA, Member of the Seniors, Member of the Auxiliary of Pottsville Hospital and St. Catherine’s Hospital of Ashland, and Treasurer for the Board of Directors of Schuylkill Community Action. She also served two years on the Selective Service Board, and was a Judge for the Pottsville’s Winter Carnival. She was preceded in death by her brothers, Michael Malinchok, Andrew Malinchok, Wassyl Malinchak, Nicholas Malinchak, Paul Malinchok, and sister Ann Steffaro. Surviving is her daughter Jean Rosella, and her husband, John from Ann Arbor, Michigan, two granddaughters, Kristin and Kara Rosella, She also leaves several loving nieces and nephews, and loving great-nieces and great-nephews. A funeral service will be held on Wednesday, February 6, 2019, 7pm at Temrowski Family Funeral Home, 500 Main St., Fenton, Michigan. Friends may visit on Wednesday beginning at 5pm until the time of service. An Orthodox Funeral Service will be held on Tuesday, February 12, 10am at Holy Ascension Orthodox Church, 209 S. Lehigh Ave., Frackville, Pennsylvania. Interment is private. Donations may be made to the Silver Club Memory Program, 2401 Plymouth Road, Ann Arbor, MI 48105 or to Holy Ascension Orthodox Church, 209 S. Lehigh Ave., Frackville, Pennsylvania, 17931.